One of the things that did not make sense to me from the beginning of my Christian life was our Sunday morning gatherings. If I missed a few Sundays, I knew somebody was going to call me and throw Hebrews 10:25 at me, “not forsaking the assembling of ourselves together…” The teaching is that, in order for us to fulfill this Bible verse, all we have to do is come together on Sundays for a specific, repetitive “order of service”. We will listen to the same worship team, the same style of music, and, at times, the same songs. We will give our tithes and offerings, listen to the message from the same man of God Sunday after Sunday. In some cases, we will get prayed for, and out we go; everybody on their own way to their favorite restaurants or straight home. So, as long as I show up to that service (especially if I make it to the mid-week service) I was all that and a spiritual bag of chips. Even after all these years, this philosophy does not sit well with me. In our gatherings we are called to consider one another: This is more than just sitting by each other with chairs looking in the same direction. To consider one another is to pay attention to one another, to study one another and to show care for one another. In our gatherings we are called to encourage one another. What we do on Sundays has nothing to do with fellowship; in fellowship we share our lives, we eat at each other’s house, we gather around the cross, around God’s Word; the spiritual gifts flow from everybody and the freedom of God’s Spirit moves in our lives. In true fellowship we enjoy each other’s presence; we share in each other’s birthday, we watch the game together, we play together, we enjoy diverse celebrations together, we enjoy cookouts together, etc. 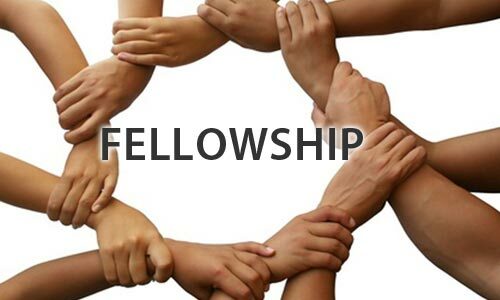 Fellowship is what comes natural for true family and friends; how much more we, God’s people. What we have in many churches are “God bless you” relationships on Sundays with people that are totally disconnected from one another the rest of the week. We do not call each other, we do not visit each other, and we do not help each other. That is because we do not know each other enough to miss each other. We miss our families and our friends, but do we really miss our church family? I said this many times and I will say this again; until we frequently eat at each other’s dining room tables, we are not family; that’s what families do. Furthermore, our unwillingness to fellowship is an indicator of a deeper spiritual issue. If we walk in the light, our desire to fellowship should be a natural desire. Our refusal to fellowship is then an indicator of our darkness. Posted on 05/19/2015 by angelcasianoPosted in Christian LivingTagged church, fellowship. Previous Previous post: ¿Cuál es la Realidad de mi Vida? Excellent Angel! Right on the money, OOPS it is all about the money!